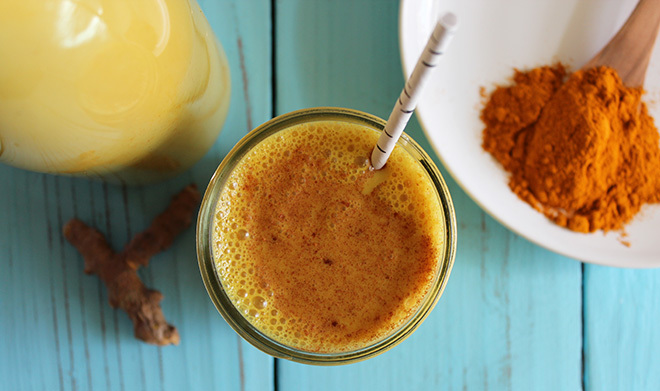 Turmeric has recently been touted as being the “next big sports nutrition supplement” due to is ability to reduce inflammation and blunt the effects of muscle soreness. However, while the jury is still out on the amount of turmeric that is actually required to produce any positive effects, we thought we would give it a go. Here is our recipe for Turmeric Latte, which is a great lower calorie alternative to hot chocolate or your regular latte if you’re looking for something to warm you up on winter days. Put all ingredients into a small saucepan and heat until spices dissolved. Alternatively, heat your milk in the microwave, then mix in the remaining ingredients.